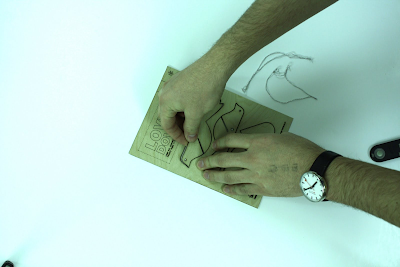 I visited London yesterday for a quick whizz round Clerkenwell design week exhibits. It was beautifully sunny and London felt inviting and vibrant. It was interesting to have a relaxing wander around the disparate showrooms and exhibitions that make up the Clerkenwell event. I do find it hard to get over excited about much of what I see at shows these days, maybe its cynicism or perhaps a more highly defined sense of realism. Don’t get me wrong, there are some beautifully made and carefully considered pieces of design out there its just that often I struggle to find how they are relevant to Snowhome. I have always believed that good design should be affordable, imaginative, engaging, useful and appealing, ticking all these boxes is not as easy as it sounds. I often see things and want to sell them but should a utilitarian chair really cost upwards of £300? would you want to pay £150 for a candlestick? 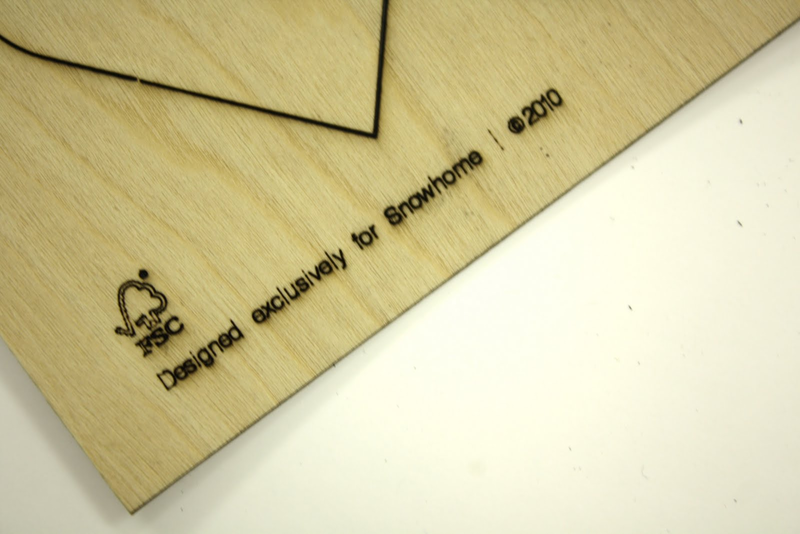 I don’t want to turn Snowhome into a design pound shop, pricing is a more complex science than that. 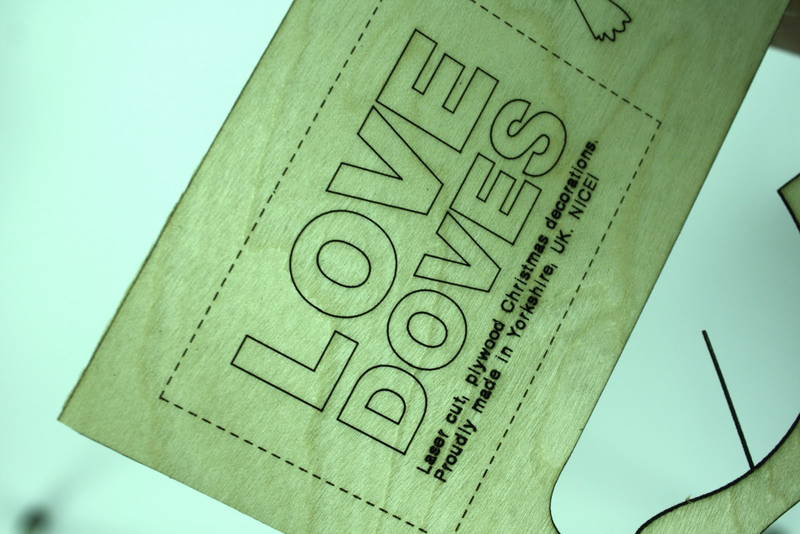 I know that objects which are designed with care and attention to detail, that are manufactured in the UK in smaller numbers will not be as cheap as chips – BUT and its a big but, these products have to be viable price-wise. What I am trying to convey is that there has to be a value for money at the most fundamental level and thats where my sense of realism comes into it again. While realism may vary from person to person the principles that inform the direction of Snowhome are ultimately my responsibility and I need to be comfortable with them, they are perhaps even more poignant during these more austere times. With all that in mind Snowhome moves forward in pursuit of things that we feel proud to sell ticking as many of the boxes as possible. After all that I saw yesterday this little bird (top of post) from a ceramic company in Japan stood out, I also really liked the simple Croquet shelving system by Michael Marriot, it was good to bump into him again on the VeryGood + Proper stand, he’s a good guy. A great new product has just arrived in store. Turn Key is designed by Isreal based brand Monkey Business, it’s the kind of product that will last you a life time and is guaranteed to make you smile every time you use it. We are going to hold the inaugural York Pucket Championships on 3rd April at 7pm at the Lamb & Lion on High Petergate, York. There will be a unique Pucket Bucket trophy for the winner and of course a bottle of champagne, all competitors will get a hot pie to sustain/console them. For those of you who aren’t familiar with the game of Pucket there is a clip above, it’s fun, fast and incredibly simple. Quick fingers and a steely nerve are an advantage! Entry forms will be available from the shop from Friday 9th March, the entry fee is a mere £2, Hurry though as there are only 32 places available on a first come first served basis. All of the entry money goes straight into the prize pot. Pucket is available to buy both in the shop and through our site. A quick picture of our stand from HOME – LONDON at Earls Court this week (the intense light and funny carpet made it a bit hard to expose the camera, sorry). It was a great show for the snowhome wholesale side of the business, as we used the show to launch the new “Word Map of London” which was well received and we managed to pick up some great new stockists. The show was also a great place to look around and find some new stock for the shop for new year….if you’ve been in the shop lately you’ll understand that it’s needed! John also exhibited at HOME (on the stand behind) where he also launched some great new products, soon to be stocked in snowhome. (See his stand below). Love Doves were born from a self initiated brief by John last year. As they proved such a success over the festive period last year, John has re-made us an exclusive batch. 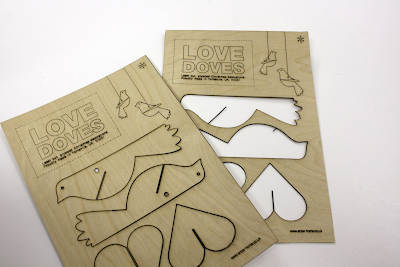 The Love Doves are laser cut from Birch Plywood and flat packed so they can be sent to your loved ones anywhere in world. Click Here to buy online. Say ‘hello’ to TUX, he’s a plywood penguin that has literally flown off the snowhome shelves this weekend. 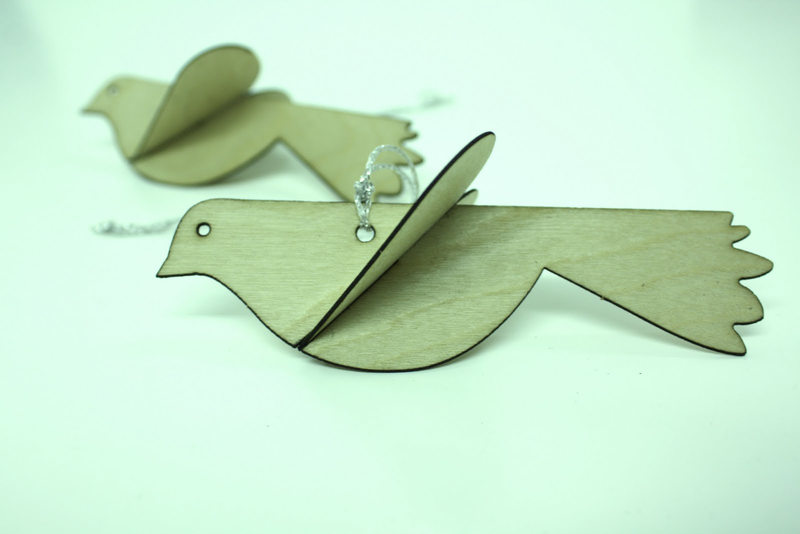 At only £4 we’re sure he’s going to be the perfect Christmas accessory. TUX flat packs into a standard C6 envelope (see Johns packaging design above) which makes him a perfect mail out gift. Click here to purchase your very own TUX. An even bigger success on the snowhome shelves over the weekend was TUX mini’s. A set of 12 mini flat pack penguins for £10.90 (see in image above) unfortunately after one day on the shelves they were out of stock, but do not fear, we will add them to the snowhome website as soon as more stock comes our way. Hot of the screen printing press and due to arrive in the shop tomorrow; A Guide to Pairing Wine with Food – The perfect tea towels for foodies. Become the sommelier of your own kitchen with these comprehensive and easy to reference wine pairing tea towels. Available in white and red wine versions, these organic cotton guides give pairing ratings for 34 whites or reds with 55 different food entries – that’s 3740 possible combos covered! Pairings are rated as excellent, good and best avoided so you’ll never make a food faux-pas. Foods are grouped into 7 categories; Meat & Poultry, Seafood, Flavours & Herbs, Taste, International Dishes, Vegs & Vegetarian, and Dairy. There’s also info. on grape variety, acidity, body, tannins and sweetness for each wine listed. Well done to Stuart Gardiner for yet another clever and useful design. We especially enjoy the way that the knife and fork sit next to the wine in the logo….nice! 2 colour print on organic unbleached cotton. Made & printed in the UK and only £9.95 each. What more can you ask for? ANYONE FANCY A KNITTED BEARD? Earlier this week Angus and I went down to Birmingham NEC to visit the Autumn Fair trade show. 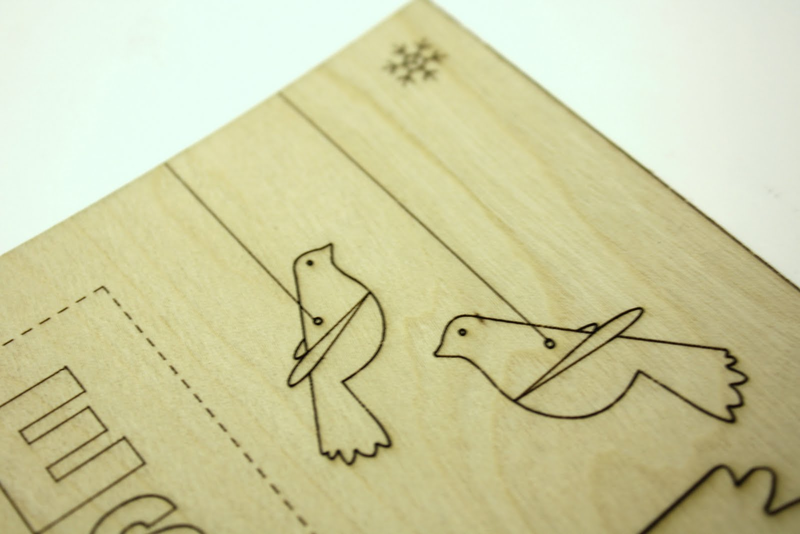 Now that summer is over : ( we were on the look out for some new products to stock for Christmas. One of our favourites were these Beard Beanies. They will be a bit pricey at £40 but we just loved them, What do you think? Should we stock them? I think they’re perfect for cycling around a cold city during the winter months, because if like me you can’t really grow a proper beard then you will know all about that freeeezing cold chin.